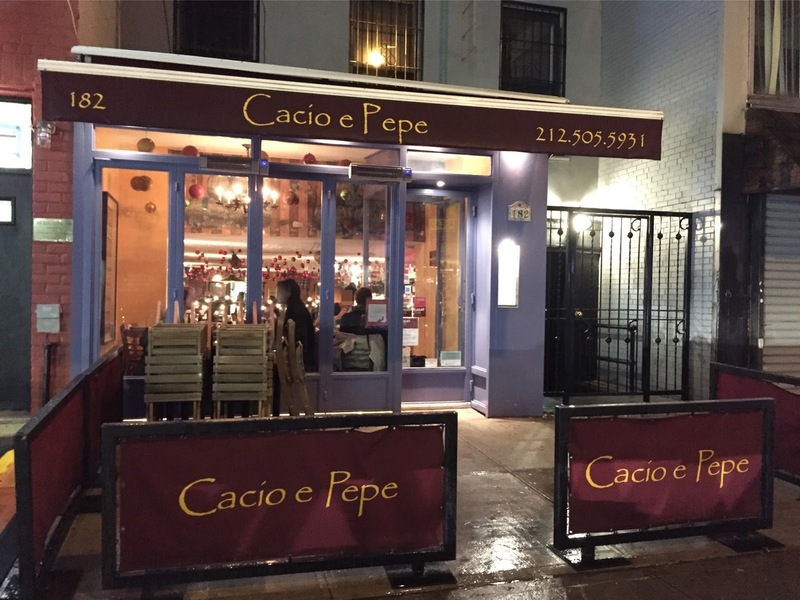 We saw some restaurants serving pasta tossed in a cheese wheel at the table, and one of them was in East Village called "Cacio e Pepe." 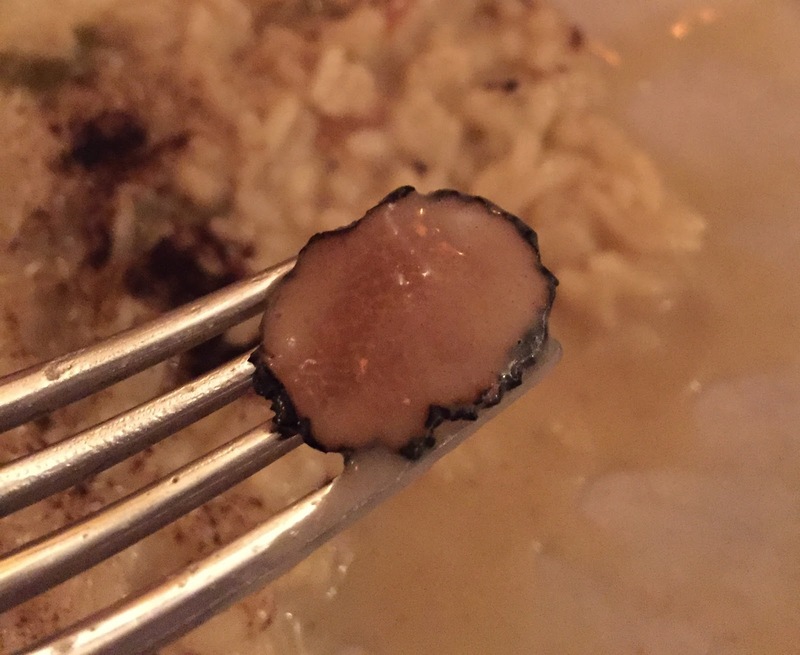 My husband made a reservation for dinner and we went to try the interesting dish. On a rainy Wednesday, we arrived at the restaurant at 7:30 PM, and about 70% of the tables was occupied. There're maybe 3 staffs in the hall but it's hard to get attention to order so we sat and waited for maybe 10 minutes after closing the menu. We ordred Tonnarelli Cacio e Pepe, which is what we came for, mixed salad and risotto. Soon they brought a basket of bread and dipping oil. It tasted like olive oil mixed with sun dried tomatoes and garlic. The bread had thick and hard crust and soft inner, and it's served cold. Unlike the long wait to order, the dishes were brought fast. We got it without gorgonzola, and the salad was topped with balsamic vinegar dressing. The fruits were apples, mango and there're some pieces that tasted close to pears, besides halved grapes. The dressing and fruits were sweet and sour, and caramelized walnuts and cacao nib were crunchy and fragrant. Only this dish in the pasta menus is tossed in a cheese wheel. 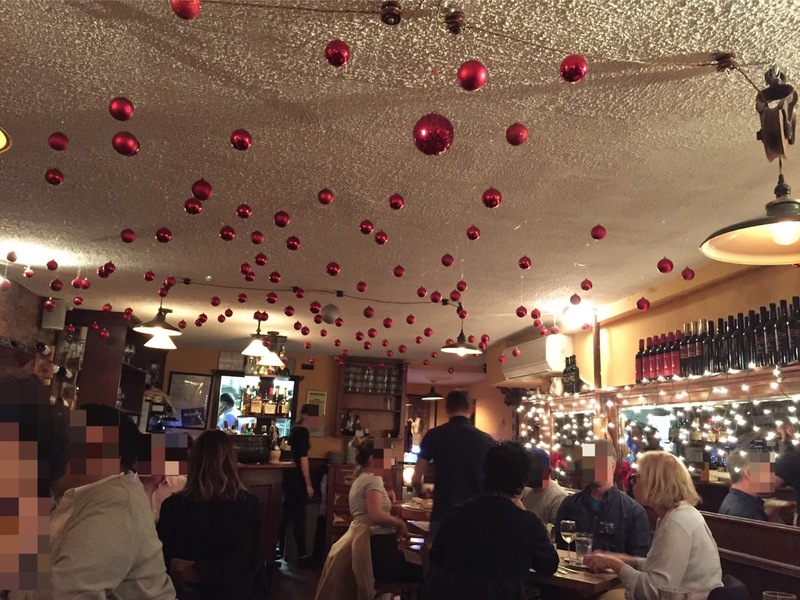 The restaurant was dusky and the staff didn't really care about how it would look from the customers so that the whole process was backlit. Also, he started tossing without any notice, hence it's hard to capture the whole process unlike Raclette who let me get ready to take a video. 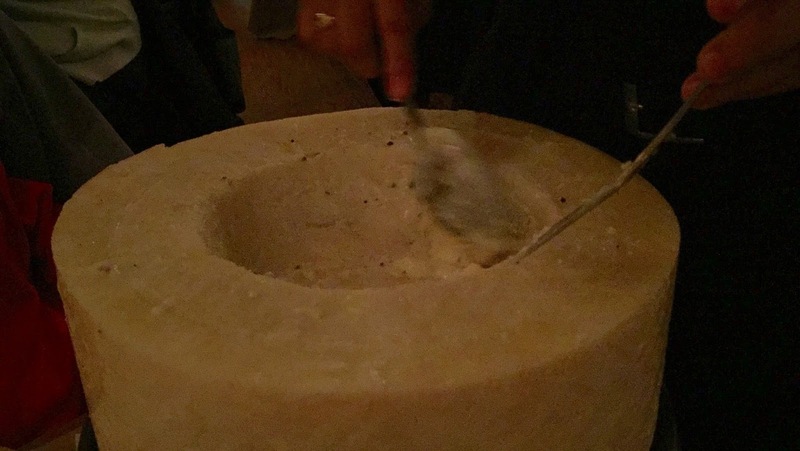 After serving the pasta on the plate, the staff scraped the melted pecorino and poured over the pasta. Tonnarelli is a square shaped long pasta, and it's chewy and firm like Udon noodles. Heavily black peppered melted pecorino cheese was very rich and creamy, and the velvety texture and dense flavor was well-balanced with the unique pasta. However, overall it's very salty and it made me thirsty despite the small portion, like a female fist size. If you're taking a video, I highly recommend you turn on the camera when they bring the cheese wheel. And the tables by the mirrored wall should give you better lighting by avoiding possible backlight if you can choose a table. It's my first time to have a risotto with grapes. The black powder was licorice, but it didn't notice any herb or roasted scent because black truffles were much stronger. The rice was cooked al dente, lightly firm in the center, and each rice was coated with cheese. 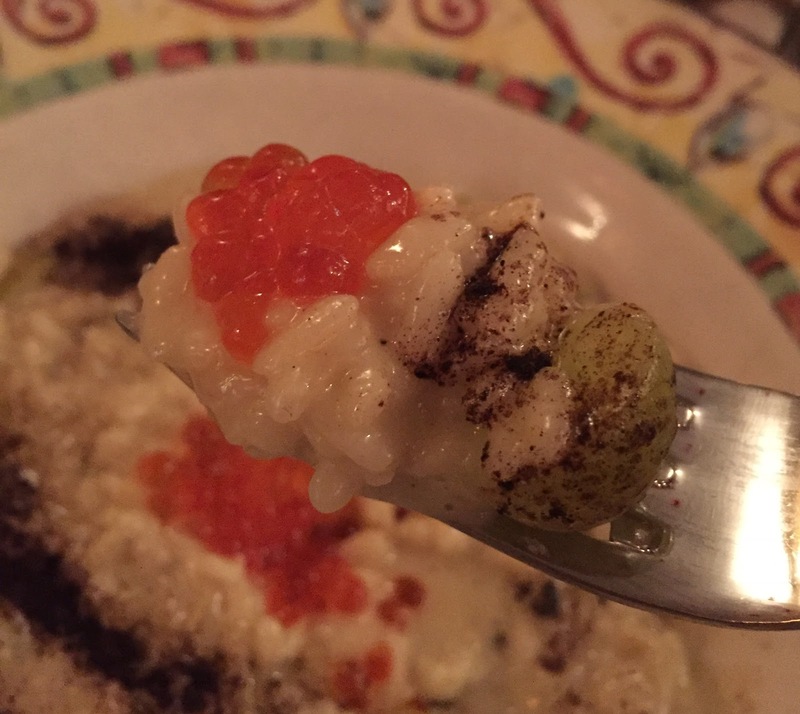 Salmon roes were popping and salty, and to my surprise, sweet and fruity grapes somehow went well with the cheese and salmon roe risotto. There're many slices of truffles. Cheese was salty and so was salmon, and we're full from the rich and cheesy dishes and salt, then there's no room for dessert. 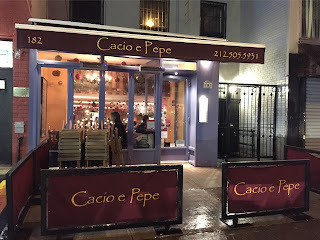 From my experience, the menu prices looked good yet the portion was small, and at the end, I thought it's pricey for the amount and the flavor, which was mainly saltiness.